January 3, 2014, filed under Courses, News. Hillwise have been appointed a provider for these new course being launched in spring 2014. 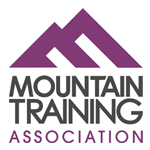 We are very excited to be appointed to deliver these new courses introducing people to the skills they need to enjoy the hill and mountain environments. Watch out for our courses later this year.